Ten years ago, 21 December 2007, we had to say Goodbye to our dear friend and guitarist Paolo Radoni. Time to remember. Yvonne Walter and Paolo Radoni had much in common. Both were ex-pats, living and working in Belgium: she was born in Holland, he had an Italian background. Both had grown up with music, she as a jazz singer, he as an instrumentalist and mentor. They found each other in 2000, when Radoni’s cool guitar accompanied Walter’s cool voice for the first time at the Hopper Jazz Café in Antwerp. Paolo Radoni died much too young, but he already had a fine career behind him as a soloist, side-man and promotor, next to his fruitful work as a teacher at the Brussels Conservatory. In 2007, however, his planned show with Yvonne Walter at the Brussels Sounds Jazz Club had to be converted, sadly enough, to an impressive posthumous homage to the guitar giant, who had died shortly before this date. Earlier, they had recorded a number of songs for their first duo CD, but since they had not been able to finish the whole repertoire, the production could not be commercialized. Notwithstanding, Yvonne Walter has now decided to present the remaining 7 songs (especially in this case a very moving choice from The American Songbook) to a large audience – again as a heartfelt homage to her late adorable inspirator, the highly talented musician, the greatly admired tutor, and the radiant personality on the Belgian and international jazz scene called Paolo Radoni. Therefore her first song on this CD is called Goodbye, and the first line of that number is “I’ll Never Forget You…”. That’s exactly what Yvonne Walter had in mind with this intimate production: Paolo Radoni was an artist never to be forgotten ! 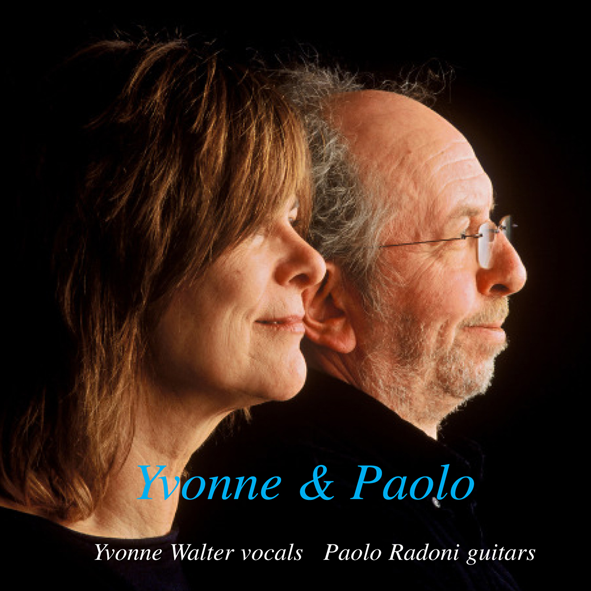 In a broad range of repertoire Yvonne always seeks for the right atmosphere to touch the soul of the song with deep respect for the composer and the lyricist. With this ability she reaches for true synergy with musicians and audience, where words set to music find love. A well chosen mix of swinging standards, late night ballads and new jazz songs come together in the bouquet especially composed for every venue or celebration.